Ah, yes, another blog post about TweetDeck. As of yesterday, Twitter’s rumored to go through with a $40-50 million acquisition of TweetDeck. While this makes sense considering Twitter’s position on having more control over their third-party ecosystem, it’ll be interesting to see how they’ll handle the extreme split in user experience between TweetDeck and Twitter for iPhone, iPad, and Mac. As an idealistic user, I hope they’ll split the two clients into “Twitter for Mac” and “Twitter Pro for Mac”, although it’ll still be pretty disjointed – Twitter for Mac is only for one platform, and TweetDeck runs on both Windows and OS X. Not to mention how Twitter’ll feel about the dependency of Adobe AIR. The rumor‘s also been thrown around that Twitter made the acquisition simply to shut down TweetDeck. If that ended up going through, that’d show a complete disregard for users, not to mention all the brands that have TweetDeck firmly integrated into their marketing processes. And that’s a pretty hefty purchase for the sole purpose of exercising dictator-like control. Is strict control of the platform really worth upwards of $50M? Nonetheless, I wouldn’t take a crack at developing the next big Twitter client right now. 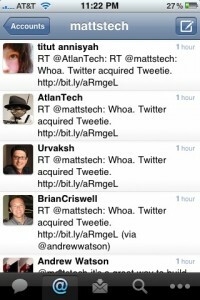 Twitter just announced that they’ve acquired Atebits, maker of one of the most popular iPhone Twitter clients, Tweetie. It’s nice to see Twitter finally provide an officially sanctioned client, something they’ve held off on doing since their launch in 2006. The app will be offered for free – a nice change from the current $2.99 in the iTunes App Store. Tweetie will be rebranded to “Twitter for iPhone”, and will provide a much better experience to many users who might not otherwise pay the price. An iPad app is also on the way, which’ll be a nice alternative to my current choice, Twitterific. However, no mention was made about Tweetie for Mac. I find it hard to believe that such great software would be thrown aside, especially since Loren Brichter will be continuing to work on the project. Update: It’s been confirmed that it is indeed on the way. The future of unauthorized paid Twitter apps will be shaky, as Twitter for iPhone’s robustness, free pricetag, and existing mindshare will likely diminish other sales. There’s still a need for more involved, Tweetdeck-like apps, but a noticeable dent will be made nonetheless. I’d like to think that an official app would equate to a larger userbase, but I don’t see much difference in how potential downloaders will perceive “Twitter for iPhone” versus every other imaginable app containing the word “Twitter”. More realistically, existing users who’ve dabbled only in the web interface will become more open to using a client. No longer will the use of a Twitter app be for power users and geeks; this is a significant milestone in the road to mainstream adoption. It’s a great way to build an ecosystem, something more startups should do. We saw it with the new retweet feature, and we saw it with the linking of hashtags to search results. This is just the next step in the process of recognizing crowdsourced features, something I’m excited to see (yes, because of the free app), but also because of the positive impact that this will have on the social network I’d have a hard time living without. What do you think about the acquisition? eBay is a great platform for online auctions. Popular VoIP service Skype is currently a subsidiary of eBay , the result of a $1.3 billion deal that went down a few years ago. 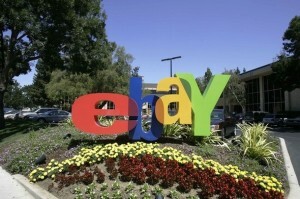 Now, eBay is looking to say goodbye to Skype and send them off as an individual entity. If you want the facts and details, Ars Technica has a great writeup ; I won’t reiterate the same content here. I really hope Google doesn’t acquire Twitter. I’d love to see more growth, not “Google Tweets”. Google doesn’t need to own everything. 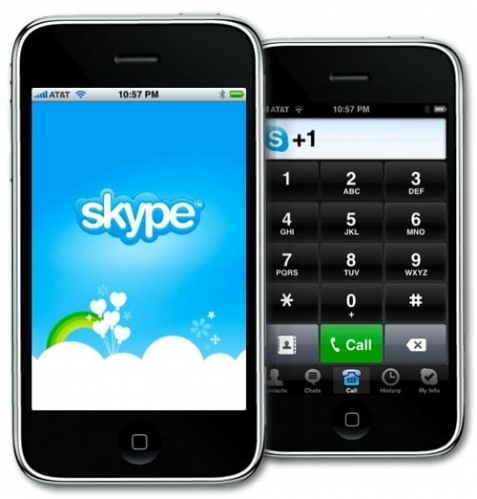 Unfortunately, Skype won’t go straight back to the founders; they’ll do an IPO in 2010. It’d be nice if Skype’s founders could continue the vision of innovation that started the company, but if that’s not possible, at least someone else with ambition to move forward will be able to pick up where Zennström and Friis left off. Skype will become an individual entity. Nonetheless, this is a step in the right direction. eBay’s a great platform for online auctions, but the relevance to VoIP (and content rating, for that matter) is a stretch. The Skype-powered buyer/seller communication system never really took off, and it’s been a strained relationship at best. But why did Skype sell to eBay to begin with? Is our main goal to work hard, to put our heart and soul into a product, then just sell out? It can’t be all about the money. You have to love what you do and have the desire to stick with it. Sure, success is relative. To some people, giving up control in exchange for a chunk of cash is acceptable. I also realize that every venture isn’t going to be the investment of the century, and that you do need to have some type of exit strategy should the need arise. But Skype’s business model is largely profitable, and has the potential to thrive as an independent company. I’d like to see more specialization, improvement, and growth, not companies acquiring others simply for the sake of equity and ownership.